Rebecca Dennis, author, coach and workshop leader is the founder of www.breathingtree.co.uk with a practice at Indaba Yoga in Central London. She studied cutting edge breath technique Transformational Breath with founder Judith Kravitz in Mexico and Miami and has worked with other influential trainers in Italy and the UK. Featured on BBC Radio, Tatler, Elle, Red Magazine, The Times, The Telegraph, Grazia, Psychologies and Style Magazine. Rebecca specialises in treating issues such as stress, anxiety, addiction, depression, trauma, sleeping and focus issues, lack of energy and physical problems. 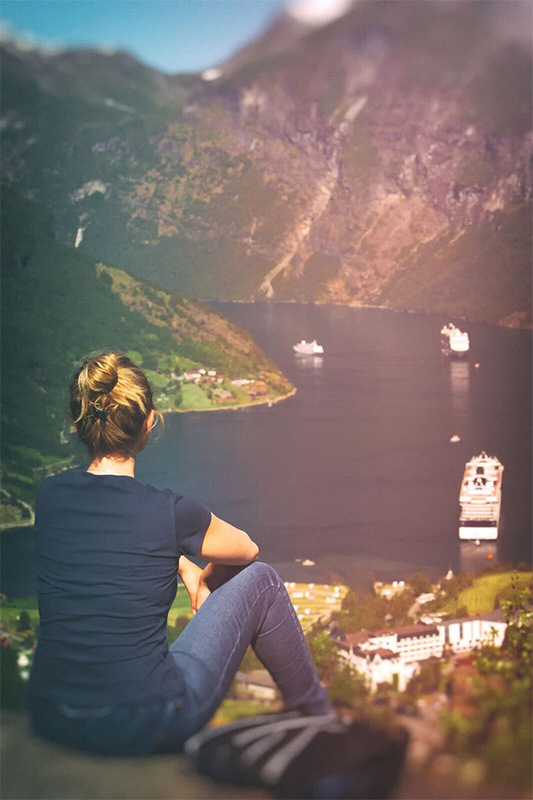 She continues to study with inspirational teachers from all over the world and fervently believes that conscious breathwork is the ultimate key to our well-being, health and inner peace. “We teach our young to walk, communicate, bathe, eat and socialise, yet educating them about the healing power of their breath is not a priority. I would like to see this change and want to encourage people to be aware of their breath and share the multitude of wonderful benefits that emerge from breathing consciously. How we breathe is indicative of how we can feel more connected and feel about life. Breath is our medicine, it’s our anchor. During her 20 year career in the media and entertainment world she was always fascinated with the body, energy work and how we can heal ourselves. She studied massage, anatomy and physiology which led her to reiki, yoga, energy and shamanic work. This cutting edge breath work continues to show her it is the ultimate key to our wellbeing, health and inner peace. She has a strong intuition and a gentle approach when working with people. It is important to her that her clients feel at ease whilst coaching the body to remember rather than introducing new ways. 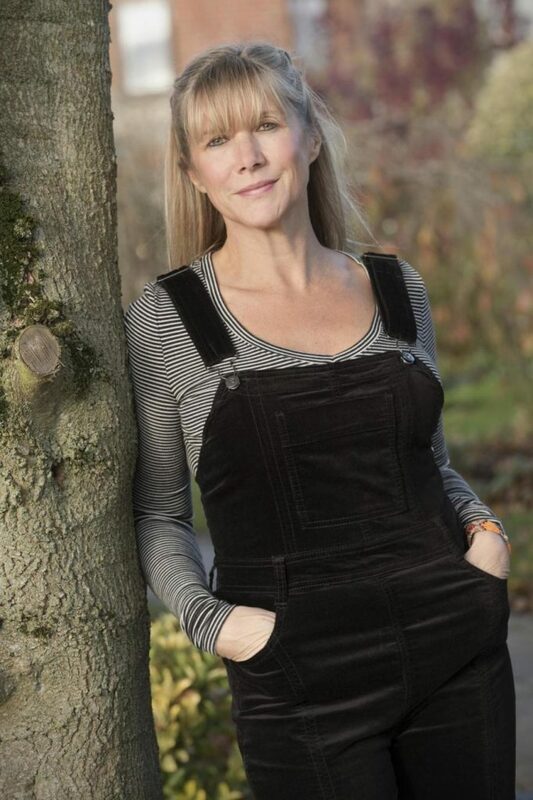 Her wealth of experience in bodywork and healing has given her a great understanding of the body and where emotion, issues, trauma and tension is held. 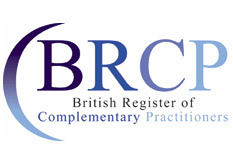 Transformational Breath is accredited by the British Register of Complementary Practitioners. 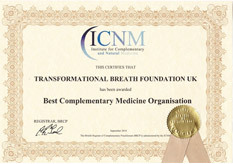 Transformational Breath Foundation UK has been awarded ‘Best Complementary Medicine Organisation’ by the Institute for Complementary and Natural Medicine.